What makes PARENTING go right? 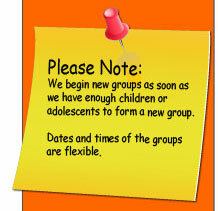 The Social Skills Groups What makes PARENTING go right? Model proactive ways to your children and you will see what a difference this will make in their lives, and for their lives. Be the parent to your children with the ability to be Proactive vs., Reactive. Reactive parents make choices based on impulse. They do not think before they react. Certain parent’s reactions to behaviors that present are automatic and not premeditated. We do not want to be this way because we should to be intentional when we parent. We should be in control of our emotions; they should not be in control of us. Proactive parents make choices based on values. They think before they act. They thoughtfully decide what type of parent they choose to be to their children. We do have a choice in matter. Proactive parents realize they cannot control everything that happens to them or near to them, but they can control what they do about it. They are calm, cool and in control. They regulate their own behavior. ~What does it mean to parent with intention in a proactive way? Parenting with intention begins with understanding yourself and your own values and motivations. Parenting with intention is about being present and conscious in all that you do. ~What does it mean to parent on Autopilot or in a reactive way? Your ideas, expectations and fantasies about what makes a good child. How can we become more proactive/intentional parents and in control? We can learn to become more proactive and in control by better understanding ourselves and our values. If you take the thoughtful time to do this, your children will follow suit. They too will become thoughtful and intentional people just by being with you and modeling your ways. First, Very often our behavior, what we say and do, is influenced by our "values." What is a value? We may say: the ideas that we believe are important; the things that we rate highly are our values. It is important to know yourself and what you value. Some examples of values are: Helping others, Being honest; Friendship; Justice; Love of family; Love; Respect; Liberty; Education; Knowledge; Creativity; Having fun; Good health; Money; Religion; Patriotism; Being Green. “Certain things in life are very important to me as a person and as a therapist. I believe that good health, love of family and friends, and helping others are very important”. What are some things that you believe are very important? Listen to what your children value as they are also important. Second, be able to identify how you feel and your emotions. If you find yourself overwhelmed with anger or with sadness or irritation even impatience…stop yourself and identify that feeling. Say to yourself, “I feel angry” or “I feel sad”. “I feel irritated”. Your children will follow suit. When we identify our feelings we stop acting out our feelings. Life becomes intentional and in control, and we set a great behavior example for our children and that feels good. And it will allow your children to intentionally attract friends and good things into their lives. Robert Bridges, a professor of biomedical sciences Tufts University.